Raw-milk cheeses are made with milk that has not been pasteurized. They may be firm, oozy, creamy, or crumbly and can come in any shape, from wheel to block. 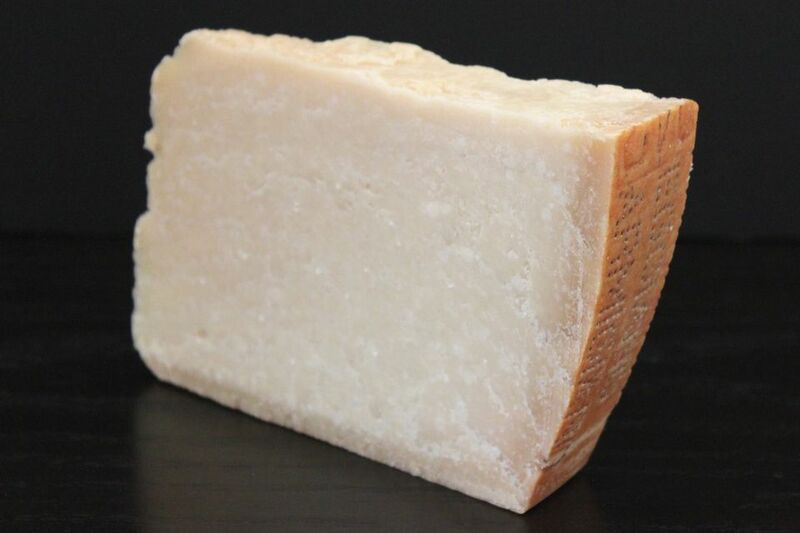 For example, the famous Parmigiano Reggiano can’t be called Parmigiano Reggiano unless it’s made from raw milk. Many other European cheeses, from those big, beautiful Camemberts to some great triple-crème Brie, are required by France’s Appellation d’origine contrôlée (AOC) to use raw milk in their production as well. Cheeses made with unpasteurized (raw) milk cannot be sold in the US unless they have been aged for at least 60 days at a temperature no less than 35 F. Since 1949, this has been regulated by The Food and Drug Administration with the intention of protecting consumers from potentially harmful bacteria in unpasteurized milk. After 60 days, the acids and salts in raw-milk cheese naturally prevent listeria, salmonella, and E. coli from growing. Pasteurized cheese is defined as cheese produced with milk that has been heated to a temperature of 161 F for fifteen seconds or to 145 F for thirty minutes or more. Pasteurization kills pathogens such as Listeria and E. coli (plus others like Staphylococcus aureus and Salmonella) which can be present in raw milk. Many argue that pasteurization kills not only potentially harmful bacteria but also other bacteria that are responsible for infusing cheese with natural flavors that can't be replicated. Some cheesemakers believe that using raw milk creates more flavorful and more healthful cheeses. They also believe there is no reason to be fearful of raw milk and no reason to wait 60 days to eat cheese made from it. These cheesemakers often use European cheeses as evidence, since most European cheeses have traditionally been made with raw milk. The Food and Drug Administration stands by its claim that raw milk can potentially contain bacteria that is not safe to ingest and it is only after 60 days that this bacteria dissipates in cheese. Since 1949, the US government has forbidden the sale of cheeses made from unpasteurized milk unless the cheese has been aged at least 60 days. In 1999, the Food and Drug Administration considered banning the sale of all raw-milk cheeses no matter how long they'd been aged. Groups such as the Cheese of Choice Coalition formed to preserve the rights of consumers to buy raw-milk cheese. The 60-day ban is meant to protect consumers from harmful pathogens. After 60 days, the acids and salts in raw-milk cheese naturally protect against listeria, salmonella, and E. coli. Many imported cheeses made with raw milk, such as Manchego, Parmigiano-Reggiano, and Gruyere, need to be aged at least 60 days anyway to reach their proper texture. Pasteurization can also kill good bacteria, the type that creates the nuances of flavor in cheese. Consumers who must wait 60 days to eat raw-milk cheeses are missing out on the authentic flavors and textures of young, traditional raw-milk European cheeses such as Brie and Reblochon. Instead, they must settle for the less-flavorful pasteurized versions allowed into the US. Currently, unpasteurized cheese that has been aged for at least 60 days is the only type of unpasteurized cheese allowed for sale in the United States.